The rule of wearing white only between Victoria Day and Labour Day is not as strict as days past. 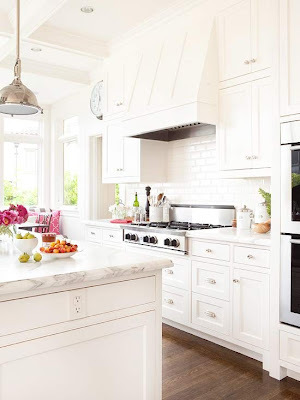 White can be an interesting year-round colour that is trendy and classic all wrapped up into a pretty design package. White pants paired with a crisp white blouse...uber chic and a classic combination. 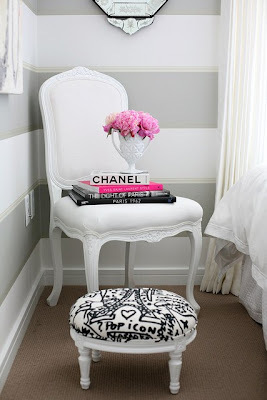 A white throw strewn over any colour couch...beauty. 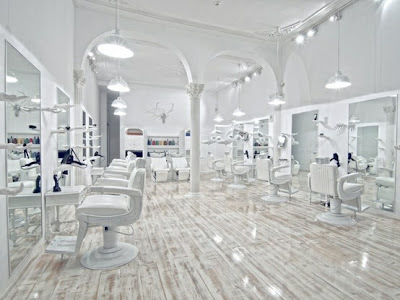 Even though white is beautiful 365 days a year, with this summer's heat...I'm drawn to white. 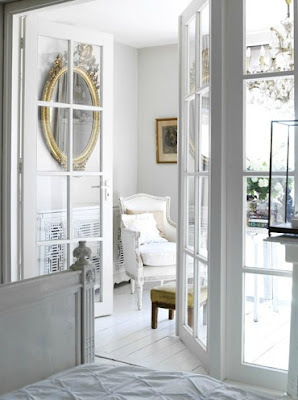 So, when I came across these beautiful white rooms, my love of summer went up a notch! They scream fresh, crisp, clean and untouched. Maybe I also love them so much because I know that I can only view them from afar. All white rooms are no good for sticky little fingers and two furry cats. These white rooms are just HOT HOT HOT! Not only is this bedroom beautiful, so is that Hermes bag hanging out on that tufted bench! This is when I say to my kids "this room is for looking with your eyes only, no touching". But sooo pretty. 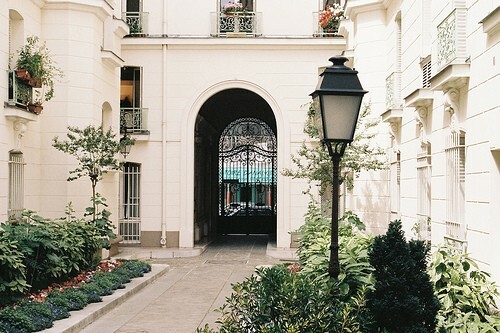 This white courtyard looks exactly like my brother's in Paris. In fact, I'm not sure it isn't. White meets a splash of greenery. Must be nice eh? Mr. Fix-it, we need to go back there! Pweese. J'aime. Okay, honestly? Imagine cleaning all the hair off the floor everyday in this salon? Hope these white rooms made you feel summery today. 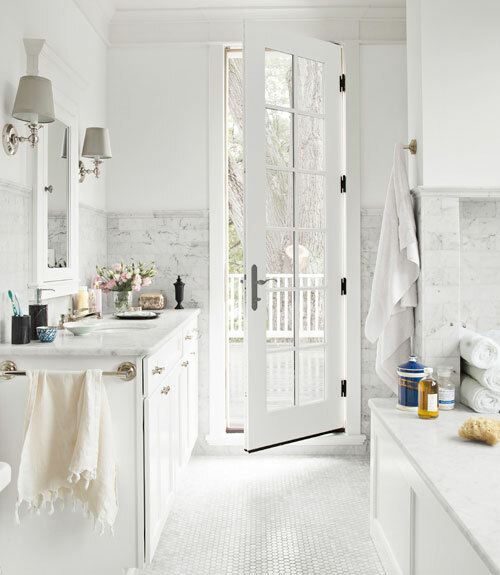 Now go add a little white to your home.